People want a quick way to accept and make payments online. Having this ability, increases business performance and facilitates money handling for the user. Business owners no longer have to make big investments in payment terminals to accept credit card payments. They can just use their own Android phones to get down to business. Being able to process payments on their Android phones, allows business owners not to be chained to their offices. Three of the best Android Apps for sending and receiving payments anywhere in the world are: Square, Pay Anywhere, and Paypal. With Twitter’s creator Jack Dorsey as CEO and entrepreneur Sean Parker as one of its advisors, Square is a company that has some serious business power. 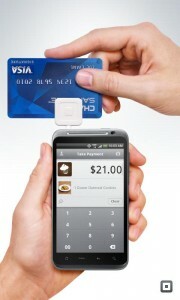 Square has a free Android app for you to enjoy the power of making transactions with clients in your business. With the Square card reader, you can accept credit card and cash payments via your Android handheld device. At just 2.75% per swipe of the major credit cards, you can expect zero contract or monthly fees. Receive payments from any location, as you get funds in your bank account the very next day.To begin, download this free app and set up an account. You can start tracking sales and sending emails and text receipts instantly. 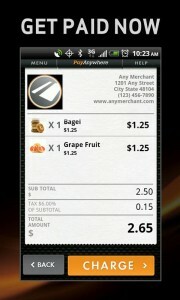 Pay Anywhere is another free Android app with remarkable capabilities. This app has a free card reader on which you can swipe major credit cards. There are no monthly minimums and no hidden fees. So, you will enjoy the flexibility of the Pay Anywhere service, which includes free software, low rates, and 24/7 technical support. Currently, Pay Anywhere is only offered in the United States. It allows users to create inventories, email clients, use GeoTax for tax rate calculations, and upload transaction reports at any time. Pay Anwhereís free merchant portal adds advanced reporting tools for the savvy business owner. Android also offers the popular Paypal mobile app for people sending or receiving payments electronically. 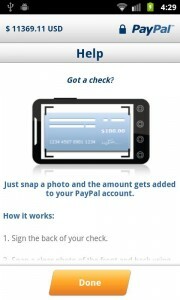 Like Square and Pay Anywhere, the Paypal app is free and has many useful features. This secure app helps businesses to not only receive payments, but also withdraw money. 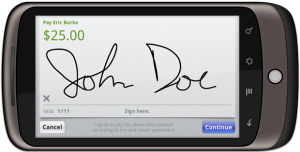 You can take a picture of a check using the app for easy transactions (only for US users). You can even locate other merchants with Paypal from your Android, if you live in the US. If you have a US bank account, Paypal offers free services for transferring funds. I really dislike how slow the new version of Pay Anywhere is. I run a business and to get to each window it takes forever. The new version really doesn’t work for salons very well. I use an iPad for payanywhere. The new signature is a pain. Sometimes people don’t want to tip and if you forget to cancel that out you have to go back and credit them. To many steps. I do love the fact you can itemize things. But I wish there was less windows per transaction. The other thing is that I can be in the middle of a transaction and the program will kick me out and start all over again, making it so the customer can’t sign, tip ect.